Three days to Thanksgiving! Are you ready? Listen, even if you aren’t all planned, purchased and prepped yet, it’s okay. You can totally do this. Just sit down and make a list of the dishes you want to serve. Next, gather the recipes and make a list of what you need (be sure to note quantities!). Plan when you will cook things (yes, it matters). Then shop, and get going. 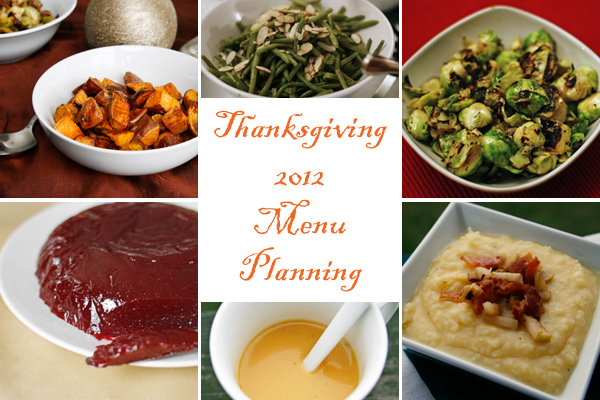 Need more help with your menu planning? Do … keep parts of the meal simple. For me, it’s the appetizers. Though I toyed with the idea of going a little fancier this year, I have gone very simple with appetizers for years now. Appetizers always feature cheese and crackers, veggies and dip and an olive plate. It’s all delicious — but also almost effortless. Don’t … feel obligated to make anything just because it’s tradition. Seriously, if the green bean casserole isn’t your thing, skip it! No one eats the sweet potatoes? Don’t make them! Thanksgiving is about celebration, not obligation! Do … say yes to offers to bring something. Then tell them what course — how could you say no to an extra side dish? Or another decadent dessert? Don’t … leave everything to the last minute. Seriously, you want to eat right? And have a peaceful day? Well, then you need to work ahead, get things done and lighten your last-minute workload. I’m finishing up the last of my Thanksgiving prep now. Then I’m done till Thursday! You’re amazing! All my prep is today. Can’t wait to have it all ready and waiting to go for Thursday.